Kespry, the leading drone-based aerial intelligence solution provider, today announced it will highlight its new construction industry-focused innovations at the World of Concrete industry trade show in Las Vegas, January 22-26. The international event is the only large-scale show dedicated to the commercial concrete and masonry construction industries. As part of its global strategic alliance with John Deere, Kespry will be featured at John Deere’s World of Concrete booth located at C545. Kespry will be highlighting its new capabilities to improve the efficiency of earthworks construction projects, including site design plan integration, removal of heavy equipment from automated volumetric and progress tracking, and a new tool to provide rapid elevation profile analysis to support in-the-field decision-making. These new capabilities further advance how Kespry is helping its customers to maximize the profitability of all of their construction projects with frequent, accurate survey data. Customers can now have even greater confidence to take on jobs knowing they have Kespry to optimize how they use their resources, reduce costs, and ensure projects stay on track. Kespry construction customers benefit from unlimited flights that can be completed in as a little as 30 minutes, meaning companies can use it at every stage of a project to plan and track progress—reducing unnecessary rework and costly change orders, while better managing equipment. Kespry now imports site design files directly into the Kespry Cloud for comparison with data captured from drone flights. The new feature allows site managers and other team members to quickly calculate progress against original plan design surfaces or a specified base plane elevation. Directly importing design files in the Kespry Cloud empowers teams to make quick decisions about the accuracy of production levels or the progress of earthwork tracking—all without leaving the workspace. No third-party software or data processing is needed. This new tool uses machine learning (ML) to automatically remove equipment from topographic models and volumetric data automatically generated from Kespry drone flights over active earthwork construction. Algorithms identify equipment within the survey data, and then removes them from the digital surface model—providing an even greater level of accuracy in the data used to drive production or work order changes. Customers will now have a choice to calculate volumes and/or generate topographic maps with or without equipment removed—all in a quick and easy dropdown menu. All datasets are available for download in several CAD/GIS file formats. The Cross Section tool auto-generates an elevation profile along any line that users capture. Users can compare several surfaces and determine elevation changes needed to stay on track or adjust earthwork operations as necessary. With Cross Section, site managers and supervisors are more empowered to quickly perform grade checks without tasking in-house survey teams or hiring third-party services. Accurate, yet easily-accessible tools like Cross Section help speed up access to the data that managers need to make to optimize the profitability of their sites, allowing them to make operational decisions in the moment, instead of waiting for engineering efforts in CAD systems better suited to more strategic planning efforts. 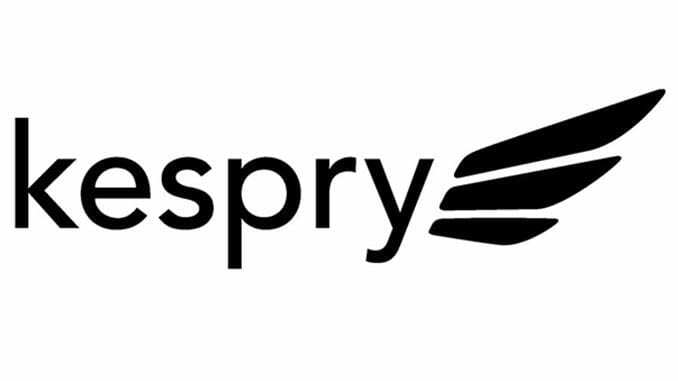 Kespry is the sole industrial drone platform vendor within John Deere’s WorkSight™ portfolio. A growing number of John Deere dealers are using the Kespry solution as part of their complete earthworks solution. No Replies to "New Kespry Construction Innovations Further Drive Project Profitability"